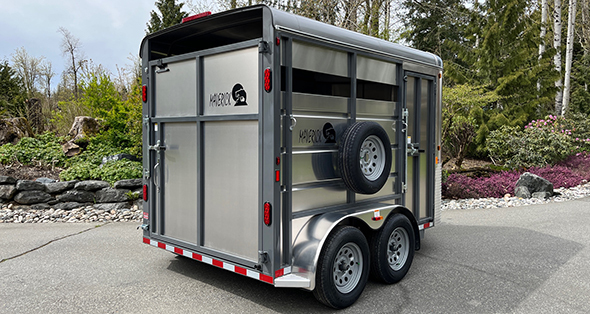 6'6" X 12' X 6'8"
Steel stock trailer with aluminum roof, 2-3500 lb axles, 205/75D15 tires, electric brakes, full swing rear door, side door, rubber floor mats, 2x6 fir deck, rubber bumper. Spare tire included. Empty weight is 2400 lbs with a payload of 4600 lbs.